Following complaints from rightsholders and broadcasters, the UK's Intellectual Property Office (IPO) is considering how the law can be tightened to tackle the so-called Kodi epidemic. Interested parties are invited to participate in a consultation to assess how copyright, fraud, and other legislation can target both device sellers and end users. As BitTorrent usage continues year after year, a new piracy opportunity has been gathering momentum in more recent times. 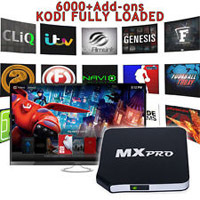 Known on the street as ‘Kodi Boxes’ after the legal software they use as a base, these devices enable consumers to access every type of media available, for a very small outlay. While in the past a full-blown PC would have been used to consume movies, TV shows, music and live events via illicit sites, augmented Kodi setups can achieve the same on cheap set-top Android hardware, even phones and tablets. This barrier to entry is an all-time low in piracy circles and of serious concern to rightsholders. These concerns are perhaps most visible in the UK, where police and anti-piracy groups have been tackling people who sell this kind of hardware for infringing uses. There have been some arrests and cases are pending, but there appears to be an underlying nervousness that current legislation simply isn’t up to the job. That’s where the government has now stepped in. In a consultation launched by the Intellectual Property Office, the government calls for input from groups with experience of investigating and prosecuting offenses relating to illicit streaming devices, although anyone with relevant information can participate. “Internet Protocol Television (IPTV) boxes (also known as set-top boxes, Android TVboxes or Kodi boxes) are small plug and play media servers, originally designed to allow consumers to stream legitimate content (locally stored or legal online content),” the IPO begins. The IPO notes that these devices are now widely available from well-known online retailers at low prices, something that has led to a sharp increase in use by consumers. This has unsettled those who make money from the official distribution of copyrighted content. “Broadcasters and content owners have voiced concerns that, although a range of existing legislation applies to the sale and use of these devices (as well as the provision of illicit content streams), the legal framework does not provide sufficient tools to tackle this growing threat,” the IPO notes. From information published thus far, it seems likely that the government will consider tightening up any branch of legislation that could apply to these devices, whether that concerns their advertising, sale, supply, or even end use. Under the general banner of the Copyright, Designs and Patent Act 1988, the IPO suggests that several pieces of legislation may already apply to Kodi-type devices, including s297 – fraudulent reception of transmissions, s297a – unauthorized decoders, through to s296ZB – devices and services designed to circumvent technological measures. The latter will be tested later this year in the case against Kodi box seller Brian Thompson. It’s unlikely to be straightforward and experts have already warned that prosecutions using existing legislation raise issues. But while tweaking copyright law seems an obvious choice, the government is urging consideration of other charges too. Under the Fraud Act 2006, possession and/or making or supplying articles for use in fraud are highlighted, as is the offense of obtaining services dishonestly. Like “fraudulent reception of transmissions” (listed above in the copyright section), “obtaining services dishonestly” could conceivably be applied to end users of Kodi devices, given the right circumstances. However, the former currently only warrants a fine while the latter has provisions for up to five years imprisonment. The consultation is certainly interesting and one that is likely to provoke much debate moving forward. In some respects, however, it is a little puzzling. While a tightening of the law may result in more straightforward prosecutions, it’s difficult to see how current legislation doesn’t already cover most eventualities, particularly when it comes to prosecuting people who advertise and supply boxes for illegal purposes during the course of a business. However, perhaps the more worrying aspect is what appears to be a new focus on the end users of such devices rather than just the sellers. It’s worth keeping in mind that users of these boxes are merely streaming content from the Internet in much the same way as they would with a normal web browser, something that is probably not illegal under existing EU law. The consultation (pdf) closes April 7, 2017.